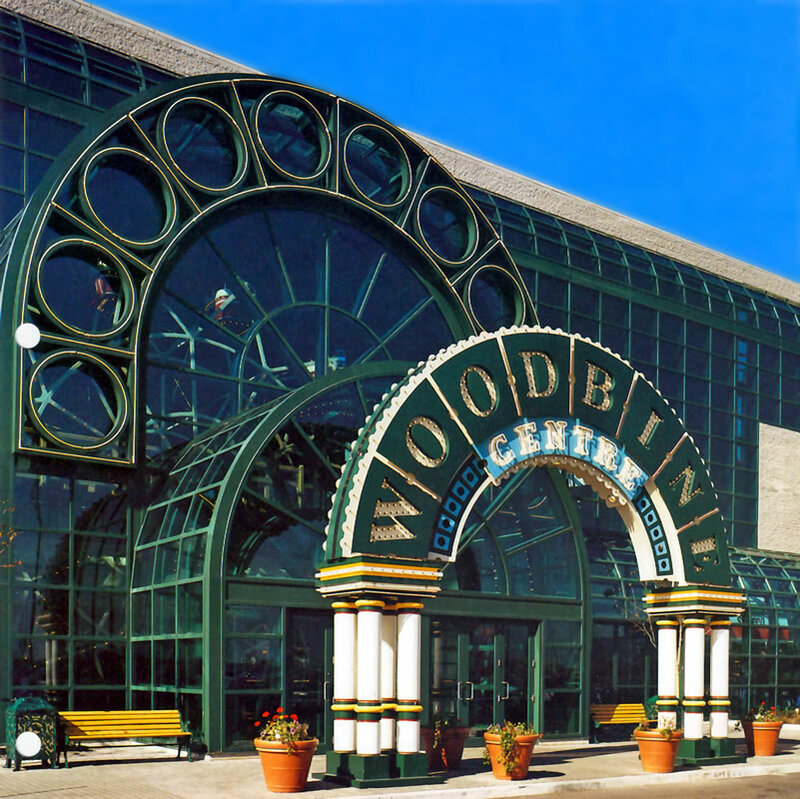 This regional centre at Highway 427 and Rexdale Boulevard, in Etobicoke Ontario, was completed in 1985 as a completely new two level shopping centre including two major department stores, a major food store, nationally known retailers, cinemas, and a children’s amusement centre, complete with a Ferris wheel and a miniature railway. The structure is composed of compositely designed structural steel beams and purlins supporting 61/4 inches thick concrete floor slabs, cast on, 3 inches deep, composite steel deck. The malls are crossed by bridges on the upper level with barrel vaulted skylights above, at the roof level, converging to a central court area, with exposed structural steel framing, supporting a magnificent central skylight. The east entrance to the mall features the Ferris wheel, which is presented through an extensive glazed wall, with exposed structural steel vaulted framing, which was a challenge both to design and to fabricate.